Becoming the best version of ourselves takes constant learning and improving. At PSG, we know this journey is more enjoyable when we are surrounded by others who share with us their experiences and wisdom. We are proud to say that our community of coaches is a source of inspiration for us. We grow with the support of great coaches and the work they do. As we always say ‘Together is Better’. 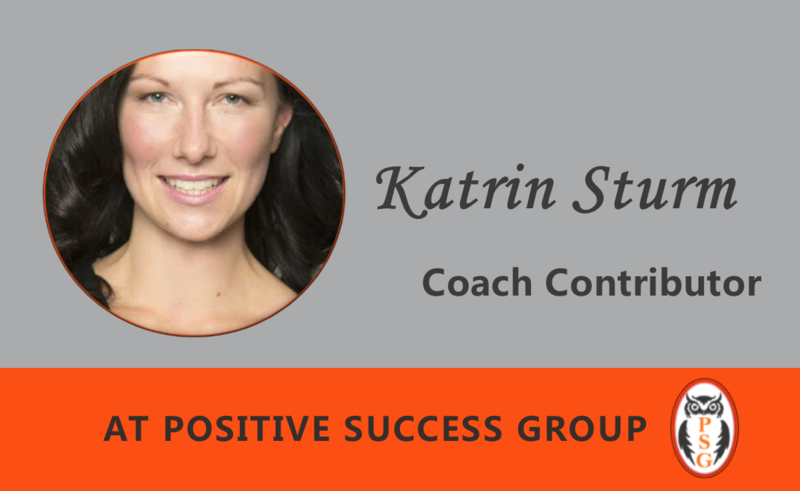 Today, we present to you Katrin Sturm, Coach Contributor at PSG. Continue reading to benefit from her brilliant answers! PSG: What enables you to get the best out of coaching.? I believe it all starts with having an open mind and taking care of yourself. One important part for me as a coach is to have a coach myself. The right amount of self-awareness and keeping track with my own goals allow me to fully focus on my client and actively listen to them. Personal development and growth by pushing myself constantly out of my comfort zone help me to always have the right empathy for my clients while they are going through change. On top of that, physical well-being by exercising on a regular basis, practising yoga, spending some quality time in nature and ensuring a balanced diet without being too hard on myself is very important to me. Plus a good support system of like-minded people, who match my values and support my goals help me to be the best possible me at this moment in time. In the end, it all comes down to a healthy balance between body and mind for me. PSG: What values serve you best in sustaining a coaching relationship? Trust plays a considerable role for me. As we know, everybody is resourceful and whole and has all the answers within. As a coach, I always trust myself to be the best possible coach at the point of time and follow the flow by dancing in the moment and listening to my client on all levels. Honesty and transparency help me to keep a trusted coaching relationship by positively challenging my clients, communicating openly if something might not be working with my own coach and also setting the right expectations. And last but not least respect when it comes to non-judgemental coaching conversations and fully respecting the fact that it is the client’s agenda, not the coaches. PSG: How has coaching added value to your life (personal and professional)? Coaching has changed my life in many ways. First of all, I discovered what I value in life, how to make important decisions based on my values and also to honour them. I accelerated my corporate career further by making the courageous decision to apply for a people management role in my late 20s, where coaching my direct reports become then a key factor for being a successful leader. When leaving my corporate job, I was overwhelmed by all the feedback on what positive impact my coaching and mindset has had on people’s lives and careers in the wider organisation and beyond. 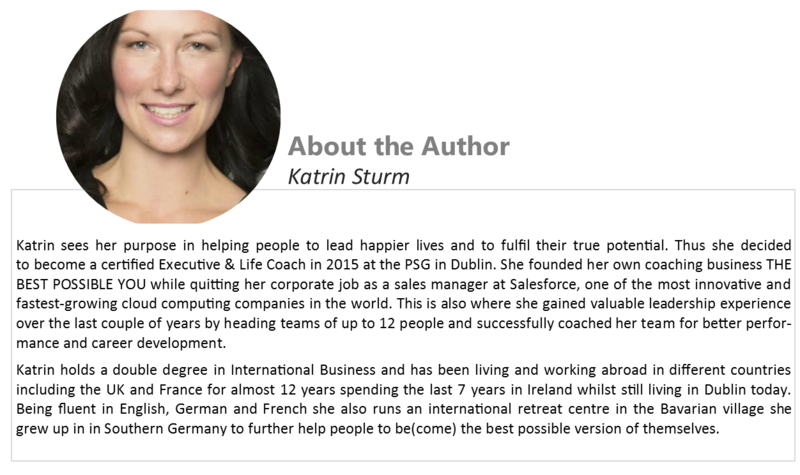 Coaching also helped me to follow my heart to set up my own coaching business and now also to organise and run retreats while building up a retreat centre in Bavaria. PSG: Your favourite ‘learning resource item’ ( Ted talk, Book, Podcast etc..)? Energy Management – Let’s Get Physical!